Are you a poet or a writer and want to try your hand at spoken word poetry? Have you dabbled before but not sure where to get inspiration or what makes spoken word different from other kinds of poetry? Maybe you already write spoken word and just want to hone your craft a little. Or MAYBE you have no idea what I’m talking about and you’re just really curious! 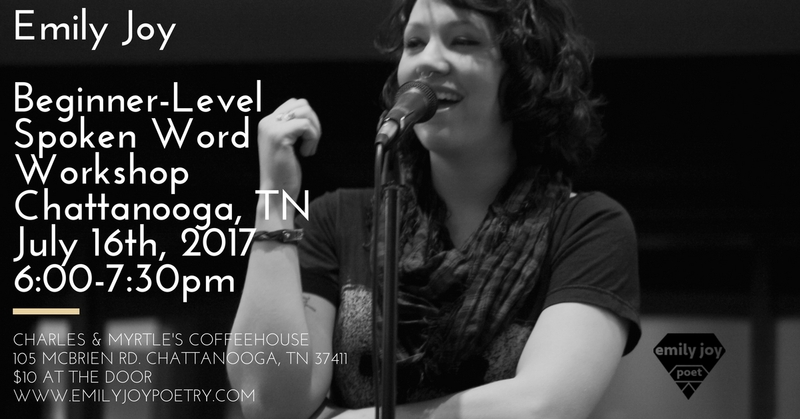 If any of this describes you and you’re a human with a beating heart in the Chattanooga, TN area, then my beginner-level spoken word workshop is JUST where you need to be on Sunday, July 16th, 2017. Bring a friend, a notebook, and $10 to this workshop and I promise you won’t regret it.